Prem Sikka argues that suppliers and employees must be compensated when companies go bust. 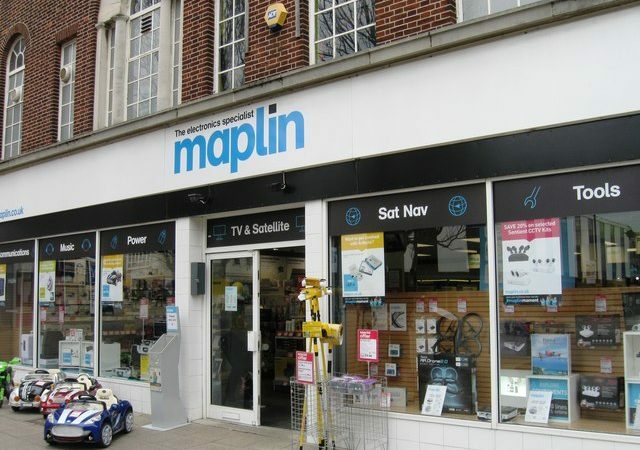 Maplin, the high-street electronics retailer, entered administration February 2018. It had 2,335 employees at 219 locations. In 2014, it was bought for £85 million by Rutland Partners, a private equity group fronting a variety of investors. The amount invested via share was very little. Maplin’s 2017 annual accounts show that the issued share capital was only £420,000. The shareholder investment was mainly through secured loans of £72m through a labyrinth of offshore companies. The loans carried interest rates of 15%. For 2017 and 2016 the charges came to £12.1m and £10.8m. The interest payments were added to the original loans and continued to be rolled-over as that offered tax advantages. The remainder of the original finance for investment was provided by banks, which also secured a charge on the company’s assets. The significance of the secured shareholder loans is that it eliminates the downside risks. In the event of liquidation, shareholders are normally at the end of the queue of the parties to be paid out of the proceeds of liquidation. They usually recover little or nothing. However, by investing via secured loans they jump to the front of the queue. This way they eliminate their downside risk or more correctly shift it to unsecured creditors which include suppliers, employees, HMRC and others. PricewaterhouseCoopers (PwC) partners were appointed administrators of Maplin and their latest filing at Companies House shows that Rutland Partners will recover £102 million from liquidation. Wells Fargo, the secured lender will recover £10.65 million to recover everything owed to it. Unsecured creditors are owed around £217 million. This includes £34.6m to suppliers, £6.2m to HMRC and £3.8m for redundancy and related payments. PwC estimate that unsecured creditors will receive less than 1p in the pound. Maplin is typical of the private equity business model and should encourage reflections on corporate governance arrangements and protection of creditors. One of the arguments advanced by the shareholder lobby is that it should have 100% of the controlling rights because it bears the residual risks i.e. it stands at the end of the queue in the event of liquidation. But the Maplin case shows that shareholders invested very little in shares – yet enough to acquire 100% of the controlling rights. Directors safeguarded shareholder interests by enabling them to become secured creditors. At Maplin, the downside risks were borne entirely by its unsecured creditors. The goods and services supplied by them bolstered the company’s assets which when sold enabled secured creditors to receive their payments. Despite being major risk bearers, unsecured creditors had no say in appointing directors, auditors or choosing time and mode of administration. There was no automatic Creditors’ Meeting to show their displeasure about administration. To call such a meeting, they would have been obliged to contribute to the cost incurred by the Administrator. Even that would have been futile as Rutland and Wells Fargo would have been able to out vote them all. The wealth transfer from unsecured creditors to Rutland and Wells Fargo was presented as fait accompli. The unsecured creditors include many small and medium-size enterprises, which are unable to bear the loss of the amounts due from major customers. Their losses inevitably trigger further closures and job losses. Yet there is nothing in place to enable unsecured to have a say in corporate governance, or to protect them in the event of liquidation of major customer. The wording of the Act suggests that shareholders would take action to enforce director duties, but it is hard to see Maplin’s shareholders (who were also directors) taking action to enforce duties which would have resulted in a lower pay-out to themselves. Some protection to unsecured creditors can be offered by changing insolvency laws. For example, a substantial percentage of the proceeds of liquidation could be ring-fenced for distribution to unsecured creditors. This would reduce the amounts collected by secured creditors but lead to more equitable risk-sharing.